It might seem alarming (and it is) that the average Australian goes through more than 60 kilograms of plastic every year. Due to our hectic lifestyles, that centre on fast food, quick fixes and mass production, plastics, in various forms, are used in abundance by the local consumer. However, the ensuing pollution caused by this consumption is being challenged by the environmentally-aware community. Cling film, Gladwrap, or plastic wrap, is a thin plastic film that clings to itself and other surfaces. First sold for household use in 1953, this material was an innovative way to cover food and preserve it, in and out of the fridge. It is made from a variety of different plastics; however, the original and most popular is polyvinyl chloride (PVC). This single-use product is not reusable, and immediately ends up in landfill and our oceans, leaching chemicals for years, and causing harm to the environment. Not only do cling-plastics cause this ongoing pollution, evidence suggests that these plastics may be leaching chemicals into our food and drinks, especially when heated; Cancer Research UK is now warning that cling wrap should not be allowed to touch food it is covering whilst microwaving. So, despite cling-plastics being used in proliferation in the home, as well as unnecessarily in supermarkets to cover fruits and vegetables, many people are turning away from these single-use pollutants. Using containers with lids, ceramics and glass to reheat, and placing sandwiches in lunchboxes unwrapped are some good alternatives. 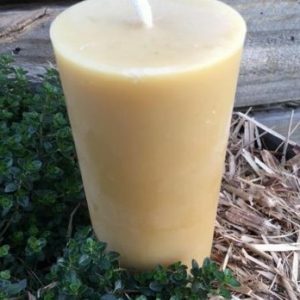 However, a reusable and effective product that compares to cling-plastics is the newly-popular beeswax cloth. 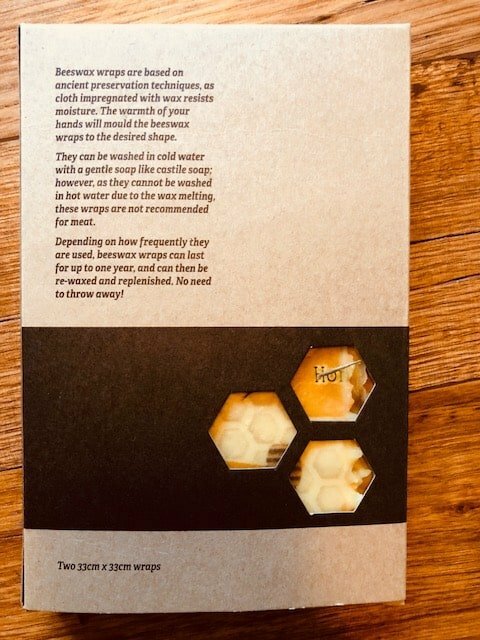 These natural cotton cloths, embedded with beeswax and resins, are pliable and washable and can mould to fit foods and vessels that require protection. By using non-toxic substances, the potential for leaching in eliminated, and the “throw-away” habit is reduced in the home environment. 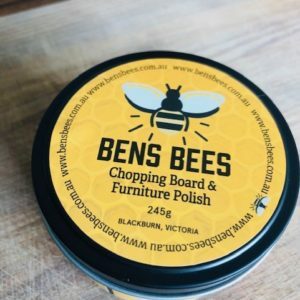 Despite their newfound popularity, beeswax wraps are based on ancient preservation techniques, as cloth impregnated with wax resists moisture. The warmth of your hands will mould the beeswax wraps to the desired shape. They can be washed in cold water with a gentle soap like castile soap; however, as they cannot be washed in hot water due to the wax melting, these wraps are not recommended for meat. 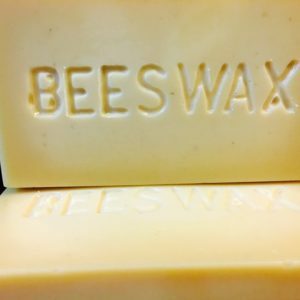 Depending on how frequently they are used, beeswax wraps can last for up to one year, and can then be re-waxed and replenished. No need to throw away! So how are these handy food protection cloths made? 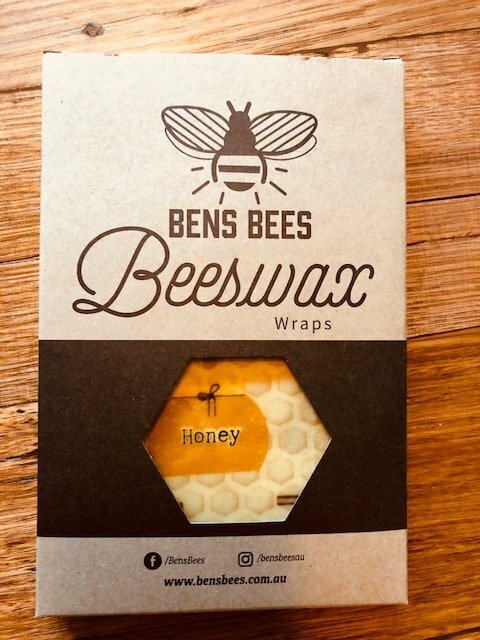 These wraps are made by melting a mixture of beeswax, jojoba oil and powdered pine resin onto squares of cotton fabric. Once the wax solution has melted onto the fabric in the oven, the solution is brushed across the surface until coated. The wraps are then cooled in the air. Alternatively, you can purchase beautiful beeswax wraps in a variety of designs from your local supplier. They are great for your own home, or to give as environmentally-friendly gifts.